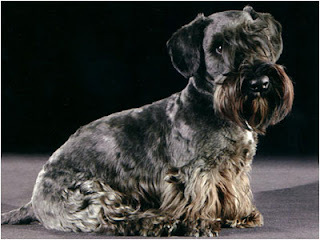 The Cesky Terrier, also known as Bohemian Terrier, was developed in Czechoslovakia by a geneticist Frantised Horak by a numerous crossbreedings of the Scottish and Sealyham Terriers. This breed is rare in Northern America but is quite popular in Czech Republic, Germany, Holland, and other Scandinavian countries. Cesky Terriers do not suffer from any major hereditary diseases, however they are prone to Scottie Cramp Syndrome which is also known as Wobbly Scottie. This is a minor problem which causes weird movements and is neither life-threatening, now causes pain. Being a healthy breed, they can live for nearly 12 to 15 years.